The Sumatran tiger is a critically endangered species. 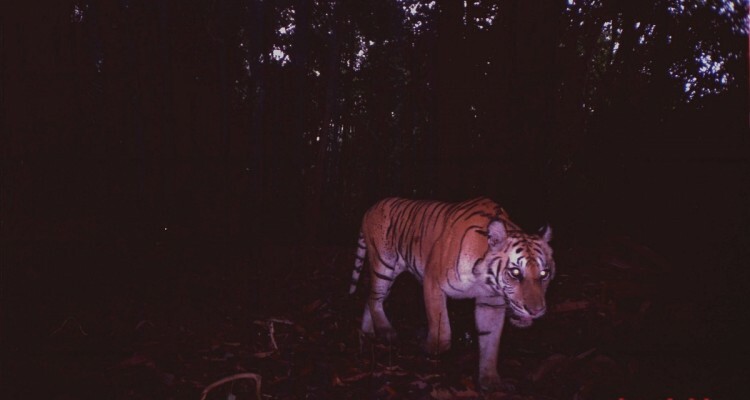 ZSL together with the Indonesian Government has set up an initiative, which we are supporting, aimed at stopping tiger poaching in Berbak National Park, on the eastern coast of Sumatra, Indonesia. This area is nested within a peat swamp ecosystem with the most potential not only to hold a viable population but also to persist in the long term. The anti-poaching patrols protect tigers by carrying out regular tiger habitat patrols and monitoring trails to deter and detect poaching, as well as following up with investigations, arrests and prosecution. Another role is to conduct community education and outreach programmes to minimise conflict between humans and tigers and to make local people aware of the importance of conserving this critically endangered species.